Sorry fellow bloggers. Mahi, Indrani and Kavitha(Mrs K) have guessed it right. 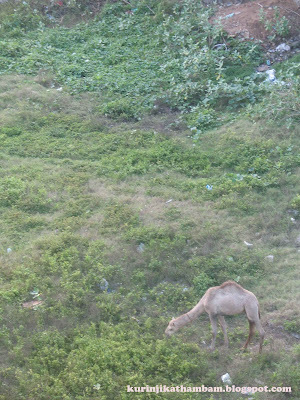 The camels have been brought to Chennai for Eid Kurbani only. There is one consolation that they have left the baby camel alone.